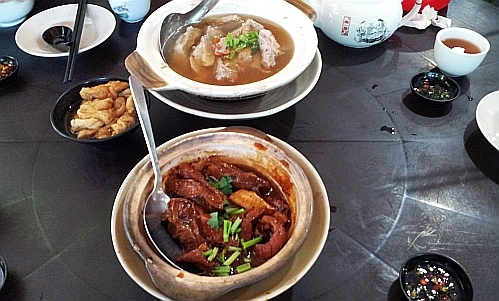 Lunch for 4 pax - Soup with Lean Pork Meat for 2 pax in claypot at MYR16 nett per pax so MYR32 nett. A single pax dry portion with lean pork at MYR16 nett. The soup is light in colour and has wolfberries (goji) in it. It does not have the strong herbal taste but instead is like a sweet aromatic rich chicken soup. I was not thirsty after drinking the soup so verdict is no MSG used. All of us could not stop drinking the soup and had to ask for refills. 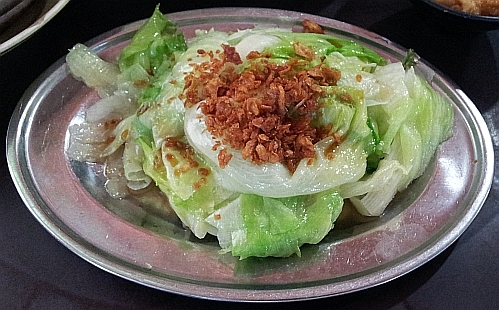 Blanched lettuce drizzled with light soy sauce at MYR10 nett. The leaves are crunchy even though they are cooked. A pot of kuk po (Ju Pu) tea (refillable hot water) costs only MYR5 nett. 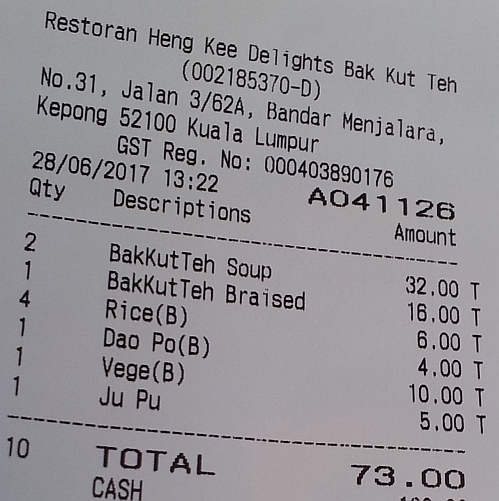 Total price for 4 pax is MYR73 nett so it is MYR18.25 nett per pax. Good price. 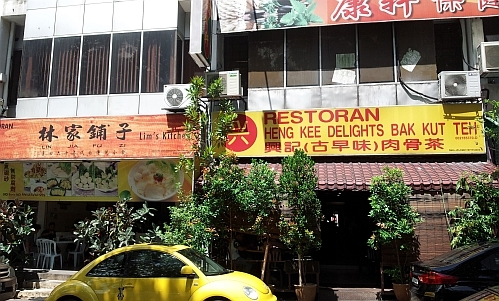 Located at Bandar Manjalara, Kepong. 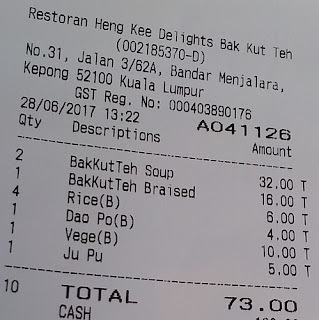 to me bkt means soup but i enjoy eating the dry type too. That was a satisfying meal. I would enjoy it too. I also dont like too strong herbal soup with msg. this one confirm no msg. I love bkt but can't be eating it too often. I enjoy both the soup and dry versions. once a month should be ok. It's a nice looking place and ooh, the food is making me hungry. I think it's reasonably priced. This post makes me hungry for BKT! Must go and eat some soon hee..hee..
long time never see you post about bkt so go go go! Oh, speaking of BKT, I haven't eaten any in Johor as yet..
should be same type i guess. Finally something cheap and good hehe.